It used to be that most of us would quickly change the TV when commercials came on during our shows. However, that has changed dramatically the past decade since advertising agencies began to make adverts so much fun. One of the tools that advertisers use as a way to make sure consumers keep watching the ads is to add music to them. 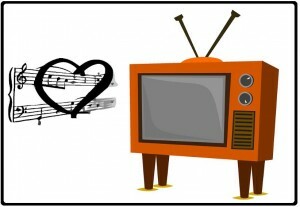 The fact is that music makes commercials great and more fun to watch. In fact, while putting together this article, the staff at Ambient-Mixer.com had tons of fun watching many of the commercials used as reference for this article. Furthermore, it was hard trying not to dance to the tunes which accompanied the ads. Contrary to what some might believe, music in commercials or advertising has been around for centuries. One of the first advertising or publishing agencies to use music as a way to target consumers dates back to the year 1795. The truth is that it is hard to imagine what the world would be without music, much less adverts nowadays. That’s because we hear music in just about everything now. From our alarms in the morning to our ring tones on our cellular devices, music is something we need. Advertisers knew this and pounced on that consumer need to make us fall in love with their commercials. You might also find Ambient Music Inspired by Movies interesting. Using music in advertising has become so popular that there are numerous sites and Apps which cater specifically to help users find the names and songs of the music used in commercials. Big companies have produced ads which have become so popular that they are found all over the Internet. These popular ads have transcended from a commercial to actual fun videos people take their time to watch and enjoy. The latter two being oxymoron when it comes to commercials of course. One advert which people cannot seem to get enough of and it is found on many sites is the Evian bottled Water “Here Comes The Hotstepper” baby commercial. In this ad, we see a man looking at his reflection in the mirror. In the reflection he sees himself as a cute little baby. The best part of the commercial is that a popular pop hit tune from the 90’s called “Here Comes the Hotstepper” is used as the background music. As the music plays, the man (and his baby reflection) begin to dance in unison. Soon other people passing by join in on the fun as they too see their reflection on the mirror as babies as well. The commercial is so adorably cute that most people watching it have to see it several times. This explains why these ads continue running on sites like YouTube long after the companies have stopped paying for advertising which is very clever. So advertising agencies have taught us that music makes commercials great and enjoyable as well. They have also taught us that they can sell us their products using music as a tool. The music lets us forget that we are actually being sold something in the process. So the next time you see a cool funny commercial with a great tune accompanying it, enjoy it and dance to it.